Tenderize the toughest cuts of meat with this 48-needle meat tenderizer. Its blades are made of quality stainless steel that are easy to clean after use. The design and placement of the 48 needles will make the meat you use incredibly tender, and it will make your marinating time faster; reducing cooking time. Start reserving all the juices of your chicken, beef, and pork the correct way and watch your customers take notice. 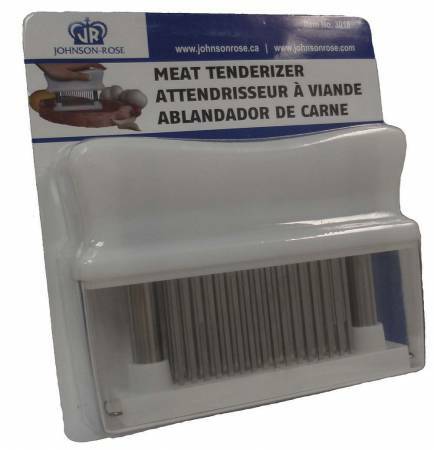 This dishwasher-safe tenderizer is perfect for butcher shops and restaurants that are constantly preparing flavorful meats.